The Red Gum Leaf is just one of the 500 varieties of Australian Eucalyptus leaves. 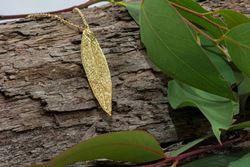 This lovely Red Gum Leaf Pendant is hardened with copper and coated in high quality 22 carat gold. 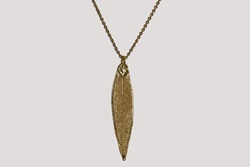 It comes with a free display chain, gift-packaged and includes a story card.